We've been installing and repairing plumbing in the Treasure Valley since we started doing business. And with a family history of serving Boise and its surrounding cities for over 100 years, we have the experience and dedication to get the job done right the first time. Our attention to detail and quality work ethic has earned us the valley's trust for years. Did you know that the average household plumbing system accounts for about 15% of the home's value? Keeping your plumbing in top notch condition can save you on costly repairs down the road. From faucets and sinks to water heaters and toilets, our family has the repair experience to get any plumbing appliance back to top-notch shape. All of our plumbers are licensed by the State of Idaho, and we're careful to make sure that everyone stays up to date on the latest plumbing code changes, tools, and plumbing methods. When you work with Drake Mechanical for your plumbing needs, you know you're working with a skilled journeyman who takes pride in their work. Having a Plumbing Emergency? We offer 24/7/365 Emergency Plumbing Service! Whether you're moving into a new home, or need plumbing appliances upgraded on your current home, our family is here to help! Our certified plumbers work closely with you to find the appliance that's perfect for your needs and budget, and install it with the care and precision that's Drake Mechanical has become known for. And more - if you have a plumbing appliance that needs installed, just ask! Our plumbers are licensed by the State of Idaho, and we hold them to the highest standards of quality. Every plumber who works for us has passed a written and skills-based test, and is required to stay up to date with the latest plumbing codes. We give every customer the same level of service and care we'd want on our own homes. When you work with Drake Mechanical, you're treated like family. In addition, Drake Mechanical is the home of the true "One-Year Guarantee." If you are not 100% satisfied with your new equipment in the first year, we'll buy it back. Your satisfaction is guaranteed. At Drake Mechanical, we've been passionate about serving the Treasure Valley with our quality work for over 100 years. But it's not just about delivering top-notch service to our customers. 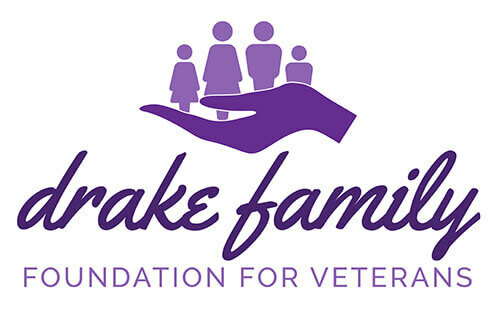 We want to support the community that's given us their trust for over a century now, and that's why we launched the Drake Family Foundation for Veterans. Every time you work with our family, a portion of that work goes to support that men and women who have put their lives on the line for our country. Regardless of which service you're looking for, we're here to help. Click below to get in touch online or via the phone. Whether you have a leak, a clog, or simply need a new toilet, we're here to help. Have an emergency? Our family is here to help 24/7, 365 days a year. Need a new sink? Whether its indoor our outdoor, home or office, we can find and install the sink that's perfect for your needs. Need a new garbage disposal, or have an old one that isn't working correctly? We're here to help with tried and true garbage disposals to suit your needs.